Regardless of how you look at it, plumbing is no longer a luxury but a necessity for both residential and commercial premises. 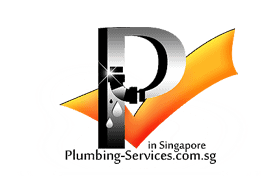 Homeowners in Singapore know that a leak around the house will cause more damage if it is not attended to as soon as possible. It gets even worse if you are not aware of how to fix the problem or have a person to call to help out with the issue. Most people panic and in the process, worsen the situation. Nonetheless, all is not lost as there are some things that you can do to prevent such problems from occurring. The truth of the matter is that a plumbing problem may occur at an unexpected time. It may not necessarily be your fault, but plumbing problems are bound to occur due to the equipment wearing off, excessive pressure among many other reasons. If you are aware of a few tricks and a little knowledge about plumbing, then it will go a long way to keeping your house from soaking. A leaky toilet is the culprit of many buildings. Despite the fact that the toilet is a room that all people visit at least twice a day, most people fail to notice when a leak is about to occur. What you need to know about a toilet is that it does not wear out but the working parts in it can. In most cases, toilet components that start to wear off give signs. So, you need to have a keen eye and look out for any unusual sounds in the toilet. Of course, a minor toilet leak may seem like a negligible problem at first glance. However, did you know that a single toilet leak drains away about 78000 gallons of water a year? Well, this volume of water is enough to fill a backyard swimming pool. To prevent this problem, pour some food colouring into the toilet tank and wait overnight. If you notice the dye spread all over, you know that a leak has occurred. Just replace your flushing valve and you save on what you could have spent on massive repairs. All water that flows to your house passes through the main shut-off valve. Usually, a typical house has hundreds of valves located in the entirety of the piping system. Knowledge of the location of the main shutoff valve can help you save thousands of dollars of potential damage to your home. The main shut off valve is often located at the lowest level of the house, just after the street. This is where the feeder pipe branches off from the main pipe. If severe flooding were to occur to your house, all water would have to pass through this valve. Test the valve to ensure that it is fully functional and that it can be turned on or off with ease. Find a tag that is labeled the main valve and let all your family members be aware of it. If you plan on leaving the house for some period, be sure to turn off the main valve to prevent damage and costs that would otherwise go to repairs. Plumbing fixtures are just that and nothing more. They are meant for plumbing purposes only and not for any other function. Too often, most homeowners ignorantly place racks on these fixtures causing them to loosen. Take the shampoo rack for example. If you have three bottles, each of about 2 litters of shampoo and other toiletries, then you are placing a weight of over 10 kilograms on the plumbing fixture. With time, heavy racks on the shower head cause the equipment to bend and cease to function. There are others who use the spout of the bathtub as a place to rest their feet. This is not a good idea. The weight placed on these equipment causes them to leak eventually, forcing you to pay more for plumbing repairs which could have been avoided. This is every plumber’s story. At any one time in their career, a plumber has been called to a home to remove something bizarre that was flushed down the toilet. Do not flush inappropriate items such as golf balls, plastic items or any other inappropriate things down your toilet. Teach your children to cease and desist from flushing their toys in the toilet. To remove the items that are stuck in the trap of the toilet, the bowl has to be detached from the floor or the wall. It gets even worse if the item was forcefully plunged into the waste line. Some instances require the entire system to be broken down piece by piece until the item causing the blockage can be identified. This is one of the plumbing repairs that is costly and could have been avoided. 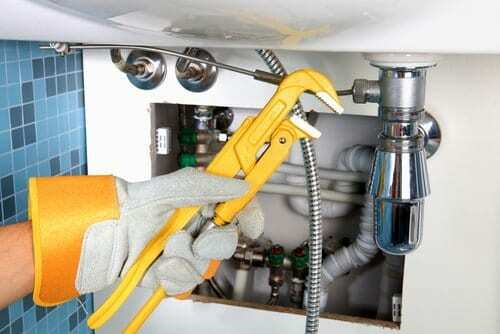 For some reason, most homeowners find themselves disassembling the plumbing equipment. There is nothing wrong in playing around with the equipment that you suspect has a few problems here and there. Actually, fixing most plumbing problems involves tightening ends or realigning components. The problem arises when assembling the parts back again. Not so much fun as disassembling was. Plumbing experts suggest that you take pictures of the disassembly process, or at the very least, write down and label the parts using numbers. This way, you will follow the proper sequence of returning the items back together. Even if it is the simple kitchen and shower faucets, it is a good idea to keep records of what you are doing to ease your work. At other times, the removal technique is not the same as the assembly technique. 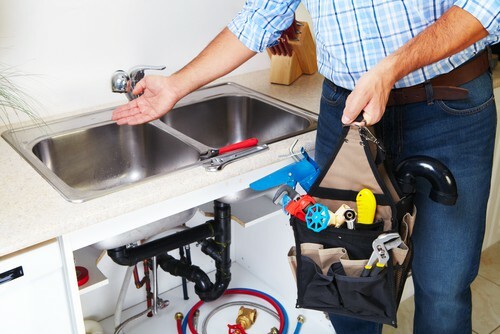 Therefore, some things may not just fit in, and you may have to call for plumbing repairs which you could have avoided. To sum it up, plumbing repairs around your home are preventable but only if you take proactive action. It is highly advisable that you do not operate equipment that you are not familiar with. The best thing to do is to seek help which is often a phone call away. With that, you are on your way to happy living!